Treat yourself to a soothing and relaxing face mask. Great for normal or sensitive skin. Aloe Vera helps moisturize and heal skin while the Rhassoul Clay, with its high mineral content, is thought to detoxify. To large glass mixing bowl, add Kaolin Clay. Add Aloe Vera Powder and gently mix with wire whisk. Using 1/2 oz. plastic scoop, add 3 scoops, or 3 tablespoons, of Rhassoul Clay. Mix gently with whisk. Using plastic dropper, add 3 ml of fragrance oil. Drizzle over powder, then gently blend in with whisk. Continue adding 3 ml at a time, drizzling over powder, until 18 mls have been added. Be sure to whisk between each dropper full. Dry mask can now be packaged into jars. Each jar should hold 1.20 oz. by weight. Package one white scoop with each jar into packaging of choice. TO USE: Place 1-2 scoops of dry mask into small bowl. Add just enough water to make a paste. Spread mask on face avoiding eye area. Sit back and relax until mask dries and hardens. Wash off with warm water. Follow with face lotion, if desired. Ingredient Label: Kaolin, Aloe Vera Powder, Rhassoul Clay, Fragrance. 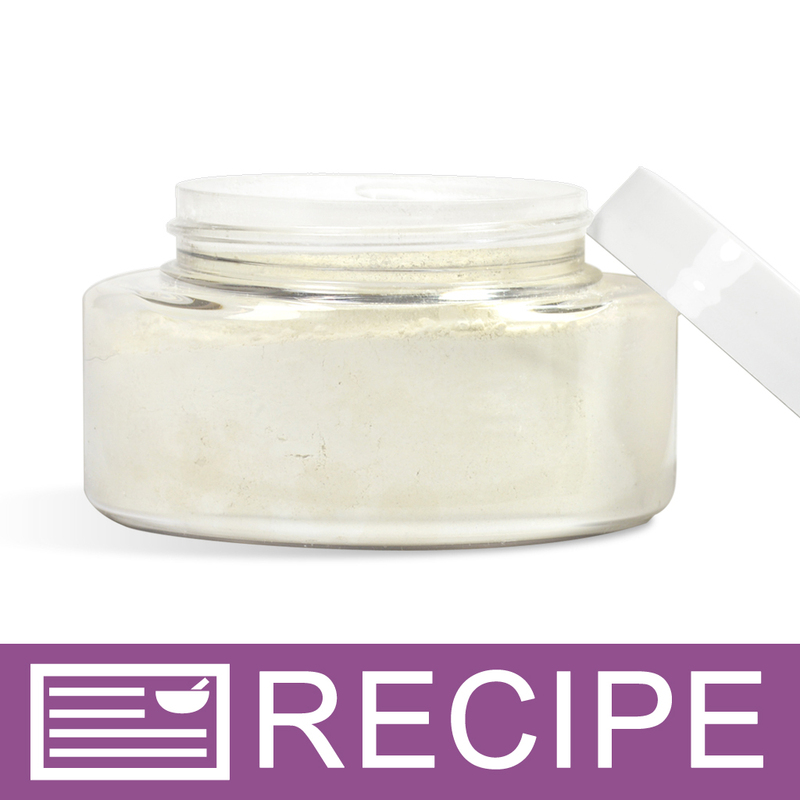 "Could you use Aloe Vera Gel in this recipe in place of the Aloe Vera Powder? If so, would I need to add a preservative?" Staff Answer You would need to test this substitution. This, of course, would no longer be a dry face mask. The Aloe Vera Gel has a preservative in it so you should not need an additional one. "I made and entire batch of this mask and it has a burning sensation on my skin I tried it on my daughter and it did the same thing to her. What would cause this? " Staff Answer You may have a sensitivity to one of the ingredients in this face mask. You would need to test each single ingredient to see which one that would be. You may also be sensitive to fragrance oil, in which case, this can be made unscented. We also recommend not leaving on the skin for longer than 10 minutes. "if using cucumber essential oil, how much should be used in lieu of the FO?" Staff Answer Essential oils are much more concentrated and so is recommended at 1/3 less than a fragrance oil in this recipe. "Do you have to add a fragrance"
Staff Answer No you do not. Any of our recipes can be made without fragrance. It will not affect the outcome of the formula at all. "The recipe calls for putting this in a lidded jar. Is there any reason why this should not be put in your small heat seal packets as samples or part of a "travel size" bag of goodies?" Staff Answer It can go in the sample packets. GREAT idea!! "Can you used hydrosol instead of fragrance oil? If so, do you have to add a preservative?" Staff Answer You can use a hydrosol in place of the fragrance oil but hydrosols are typically much lighter in fragrance than an EO or FO so you may need to use a higher percentage to detect a scent. "How many uses can you get out of this? And out of a 4 and 8 oz jar?" Staff Answer When using the 1/2 scoop you can get approximately 5 scoops (facial masks) out of each 1.2 ounces of product. If you were to use 2.4 ounces of product in an 8 oz container approximately 10 scoops could be taken out of each container. "1- Can coconut milk be used instead of the aloe vera? 2- Can any other clay be substituted for the Rhassoul? 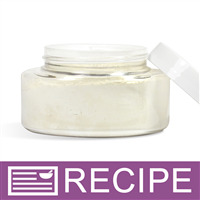 3- Can the Rhassoul clay be eliminated in this recipe without affecting it? Thank you!" Yes, coconut milk can be used as a substitute for the aloe vera powder but it may change the consistency of your final product. All of our clay is interchangeable the difference will be the benefits of each clay. Finally, if removing the Rhassoul Clay we suggest replacing it with additional White Kaolin Clay to help to maintain consistency. We cannot predict the outcome with variation of our recipes so please test your new recipe first. "Does this need a preservative?" Staff Answer No it does not. 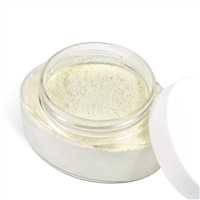 Because the recipe makes a powder that is stored for long term use and because you are only mixing a small amount with water before applying it for a single use there should not be any water introduced into the jar containing the dry ingredients. "If i were to add water to this product, how much water should i add? and what kind of preservative should i add/ and how much? and what would be the expected shelf life? Thank you"
Staff Answer You would need just enough water to make a paste. We formulated this recipe as a dry mask so you will need to test to determine how much water is needed to reach your desired consistency. You will need to add a water based preservative such as Optiphen Plus, Phenonip, Germall Plus or Germaben II. The usage rate for the preservatives can be found on their individual product pages. The expected shelf life is 1 year after manufacture following proper storage recommendations. "Since there is no added preservative here, I'm wondering how long the shelf life is of this mask (assuming no water gets into the jar). Would help me to know how far ahead of time to make them." Staff Answer This product has a shelf life of 1 year after manufacturing assuming that it is stored properly and is not contaminated with water. "Can this same recipe be used with other fragrances other than Cucumber say... pumpkin? and would it be the same amount which is listed for the cucumber?" You can definitely use a different fragrance. Always be sure to check the guidelines of use for each fragrance oil though. "If I were to add water to this recipe, how much should I add? " Staff Answer The directions for use are listed on the recipe. If you want to add water to this before packaging, we do not recommend this as the product will mold without a preservative. "What could I substitute the Aloe Vera Powder with? " I usually use Arrowroot Powder to substitue my Aloe Vera Powder with.